We offer professional manufacturer and exporter of seamless pipe, our products include stainless steel pipe, stainless steel tube, stainless steel tubing, stainless tubing, stainless tube, stainless pipe, seamless stainless steel pipe, round steel pipe and more. 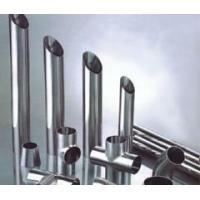 Jiashang Stainless Steel Co., Ltd.(JSS) is specialized in manufacturing stainless steel tube&pipe. The designed capacity of JSS reaches 40,000 metric tons of pipes&tubes annually, of which 80% are exported to America, Europe, Russia, Southeast Asia.. JSS products size range is F6-F762mm×0.5-50 mm. These seamless pipes and tubes are primarily used in Oil&gas industry, pharmaceutical industry, Food industry, Electric power industry, Boiler&Heat exchanger industry, Marine industry, and nuclear power industry etc. To insure our quality, JSS takes Bao Steel and Jiuli Group etc., who can make the best steel material, as our suppliers. 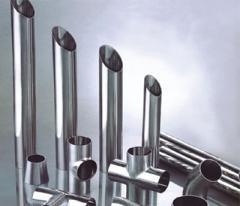 Therefore JSS is able to provide a complete range of product sizes and guarantee outstanding product quality.JSS is approved by PED, ABS, BV, GL, ISO9000:2000. And JSS is on the way of LG, DNV, CCS application, I will keep you updated. JSS take "leading in the nation, first rate in the world" as the struggle target and "quality first, trustworthiness basic" as the management tenet, concentrating on creating and carrying out the vigorous enterprise management mode, concentrating on constructing the modern management quality system, persisting in taking" the famous brand strategy" as the principle, import the international advanced technique and equipments, carrying on the modern business management, providing the local and international customers with good products and services.